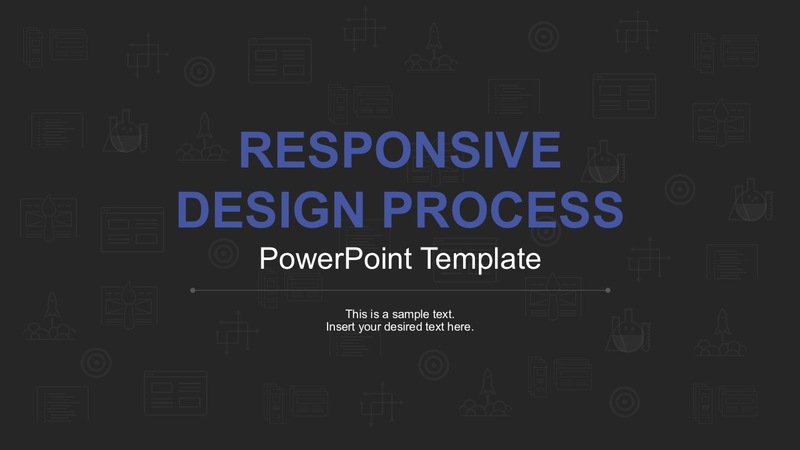 Responsive Design Process Template is a deck of presentation slides highly suitable for web design, digital content marketing, and product launch. The design process has eight (8) integral steps to a successful project kick off. 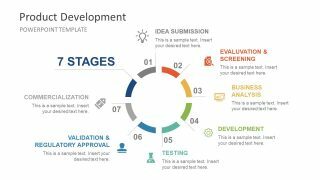 The presentation slides are relevant to project managers, online entrepreneurs, and digital advertisers. 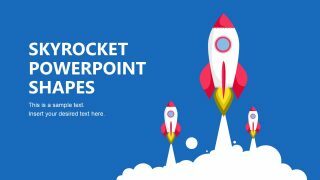 However useful for mock presentations and case studies for graphic designers and web developers. 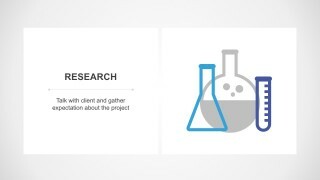 Research gathers data and expectations about the project. 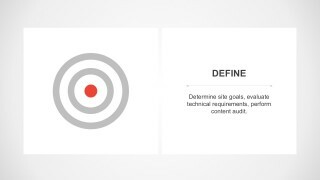 Define the project goals, target audience, and evaluate technical requirements. 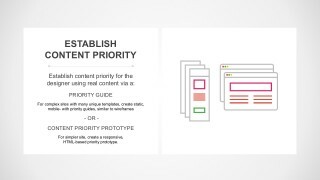 Establish Content Priority create static, wireframes, mobile priority guides, or HTML prototypes for simpler websites. 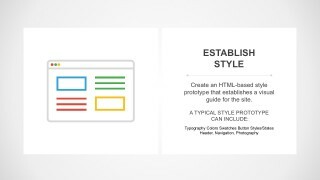 Establish Style is the visual guide for the website layout. Typography, color swatches, button styles, headers, sliders, navigation and other aesthetics. 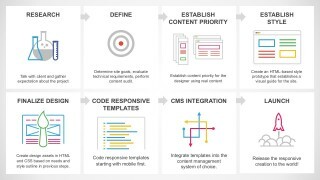 Finalize Design to build and deploy the website. 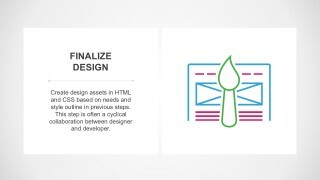 Add special features, SEO and interactivity to the site. 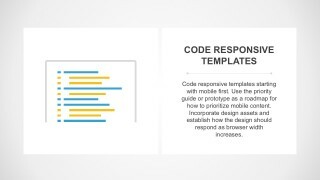 Code Responsive Template test the created website, upload to the server and run website’s mobile responsiveness. 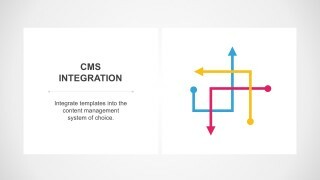 CMS Integration is the incorporation of web content into a CMS software that is used to create and manage digital content. Launch or the project kick off. Important to create a user report system, fix bugs and keep the website up-to-date. 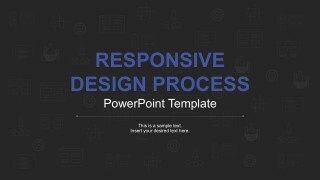 The PowerPoint template has a flat style friendly design with flexible slide layout. 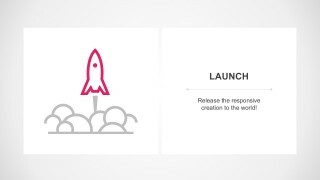 The creative icons against a simple background provide better visualization of content. 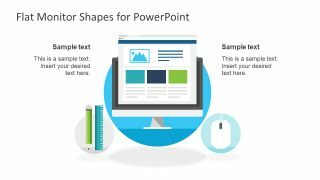 Meanwhile, PowerPoint properties are manageable to allow easy customization. 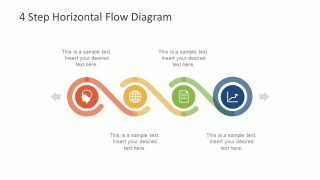 Check for more awesome PowerPoint Templates.